After the 1912 Chinese Revolution, National Assembly came into existence and it invited Dr Sun Yat Sen to be the President of Chinese Republic. Dr Sen also known as the father of Modern China gave three principles which became the preamble of Chinese constitution and from 1912 till now, acted as guidelines for Chinese govt. These were nationalism, democracy in phased manner and policy of economic reforms which did not advocate seizing land from landed class. The latter led to the continuation of Tuchans or warlords who were responsible for the poor condition of the peasants. After 1921, when Chiang Kai Shek came to power and led the Guomindang, China was facing issues similar to what India faced after independence. The problem of Tuchans (warlords), aggressive neighbours such as Russia and Japan, communist uprising or the Nanking incident of 1927 and the 2nd Sino Japanese war. Chiang Kai Shek was critical of the communist policies and his sympathies lie with the businessmen and landowners. In 1927, in Nanking incident, he purged the Communist leaders from party and tried to check the rise of warlords. These steps of Chiang Kai Shek led to the Northern March by Mao Zedong. #Factory conditions were poor · Policy of paying for the war by printing currency gave rise to Galloping Inflation disaffected the Middle Class. 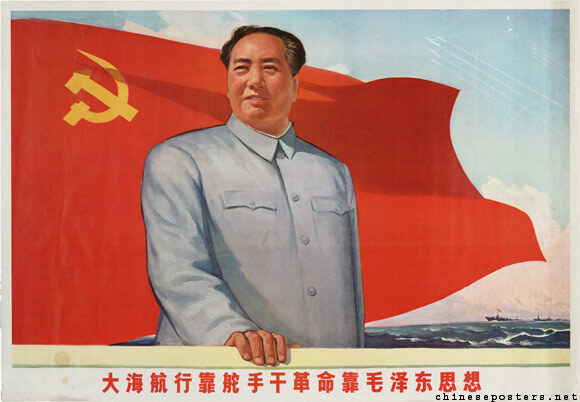 These events led to popular support for Mao, which enabled the rise of Communist Party of China. 2) Great Leap Forward – It was an attempt by Mao to rapidly enhance agricultural and technological productivity and transform China to a modern industrial society within 5 years.